Managing people's pain is a vital part of the care that any hospital provides. There are 3 broad groups of pain – acute, chronic and cancer pain. Pain as a result of a sudden painful event, such as an operation or an accident, is called "acute pain". 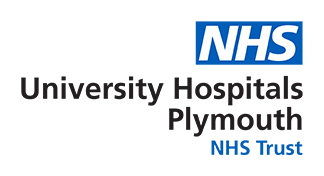 At Plymouth Hospitals NHS Trust there is a dedicated team of doctors and nurses who visit patients around the hospital (the acute care team) ensuring that all patient's acute pain is well managed. Acute pain can be managed through medications or specific local anaesthetic injections. Pain is defined as an unpleasant sensory and emotional experience associated with actual or potential tissue damage. Chronic pain is pain that persists over a period of time, usually more than 3 months. People with long term, persistent or chronic pain that is refractory to usual pain care are seen in outpatient facilities by specialist pain services. Chronic pain can have a significant and devastating impact on patient’s lives. Chronic pain is associated with a number of negative outcomes including depression, job loss, reduced quality of life and reduced daily functioning. The Plymouth Pain Management Centre offers a full range of chronic pain management services skilled at dealing with all aspects of chronic pain and the consequences of chronic pain. The pain management team consists of physiotherapists, doctors, nurses and psychologists trained in dealing with all types of chronic pain conditions. The team collaborates with the Palliative care service at St Luke’s Hospice to provide essential pain management skills to patients suffering from intractable cancer related chronic pain.